The official line is that Washington, working through the United Nations’ command of African Union Mission in Somalia (AMISOM), rejected an AU call to expand its mandate from peace-keeping to “peace-making.” Johnnie Carson, US Assistant Secretary of State for African Affairs, informed reporters that Augustine Mahiga, the UN special representative for Somalia, rejected the doctrine of allowing UN peacekeeping troops to attack al-Shabab. Somalia’s Transitional Federal Government (TFG), desperate at it is, has welcomed the incoming assistance, but houses public reservations of unintentionally buoying al-Shabab. Vetoing the AU indicates that America and the UN harbor similar doubts. Meaning the mandate already approves of offensive capabilities, as revealed by escalating battles in Mogadishu following the Kampala bombings. Not only are offensive missions pushing into al-Shabab territory, Uganda’s personal trigger to retaliate has surely quickened after Kampala. And a new mandate will become increasingly necessary as the fighting intensifies, one that may authorize total warfare and is already being drafted. Yves Sorokobi, spokesman for the UN secretary-general, told Al Jazeera that the current mandate is “sufficiently strong,” but also hinted at a wider conflict to come. Given that the UN rejected an expanded mandate under US direction, a future green-light will similarly come from Washington. Somalia generally appears as one of two objects: a war to intervene in or a war to flee from. Many oppose military escalation to what is considered an intractable conflict, believing that the war will further destabilize and either require unfeasible resources or infect all of East Africa. The only practical hope is an international system to oversee the vast network of military and, more importantly, non-military operations necessary in Somalia. 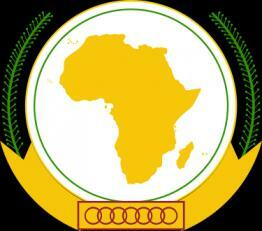 From afar the AU’s summit, in concert with the UN and America, may appear organized. This is normal because it’s the image Washington seeks to create. Carson has exhausted himself in distancing US policy from the AU’s actions, repeating the legitimacy of an international response to nearly every African media outlet. But while he’s chosen the right words, US actions bear the opposite pattern. No sooner had a failed US-supported Ethiopian invasion ended did the West begin funneling more weapons directly into the TFG. This is exactly the problem – using internationalism to vouch for a weak government and create the false impression of counterinsurgency. Though governments instinctively place the blame on insurgents for operating in civilian environments, counterinsurgency proves the opposite on the ground. US officials in Afghanistan admit the onus is on coalition troops to prevent civilian casualties even when baited by Taliban forces, yet discount the same theory in Somalia. Carson and AU officials are bent on denying indiscriminate shelling, but they never actually deny the casualties. Only the blame. This may play in America and Uganda, but Somalis feel somewhat different when an AU shell lands on their house and no one from the TFG ever arrives. Foreign governments simply don’t want to fight the war being presented, but they cannot bend Somalia’s counterinsurgency into conventional warfare. The West and the AU occupy an admittedly tough situation: how to balance the need to respond with the need to de-escalate. The regional and international community justifiably fears that no response will embolden al-Shabab, to the point where the TFG may prematurely collapse. But this fear of non-action has translated into strict offense and retaliation, mentally anchoring the West and Africa to conventional warfare when counterinsurgencies are better waged by not firing. Thomas Hammes, a career US Marine, recounts in The Sling and the Stone that Marines made great beat cops in Mogadishu during 1992, canvassing the city and getting to know the people. Offensive actions were limited and the city returned to a semblance of normalcy. The UN then did what many military analysts warned against when it took over control of the city – it withdrew into bases and rely on superior firepower. UN forces lost control of authority in and information from the streets, leading to inevitable retreat. Currently, there’s no talk of using additional troops to saturate Mogadishu so that the AU may intimately connect with Somalis and begin real counterinsurgency. All that’s heard are war-cries to attack al-Shabab. While the positive effects of Washington and the AU’s expanding policy have yet to be seen, the negative consequences are already beginning to manifest. Civilian casualty reports in the media have tainted and thus limited AU troops during the entire process. And while many analysts predict that al-Shabab would fragment if left to its own devices, a conclusion far from certain, more accepted is that foreign forces unite Somalia’s various militias. Rather than stem the insurgency virus, it quickly internalized in Puntland. Now Atom, who believes “we are part and parcel of al Shabaab,” has decided to throw his full weight into the war. Both al-Shabab and Atom would later deny working together as insurgents sometimes do, one more sign of collaboration. Elsewhere Sheikh Hassan Dahir Aweys, chief of Hizbul Islam, has apparently switched back to al-Shabab’s side. Aweys, who has feuded with al-Shabab since 2009, entered negotiations with the TFG last month after half of Hizbul-Islam reverted to al-Shabab. Lately he’s been renegotiating with al-Shabab too, announcing the other day that “their discussions were continuing in good form.” Aweys subsequently attacked government forces near the presidential palace. Conversely the Sunni militia Ahlu Sunna, once allied with the government and al-Shabab’s only non-state enemy, has been a non-factor in recent weeks. Having split from the government in June and demanded international mediation, it has given no indication of repairing the damage. James Gundun is a political scientist and counterinsurgency analyst based in Washington D.C. Contact him in The Trench, a realist foreign policy blog, atwww.hadalzone.blogspot.com.